This is a rice dish with a small amount of vegetables and beans added. There’s a mild to medium heat that builds to a medium heat over a few bites. There are some vegetable dumplings (ingredients not specified) which are tasteless to slightly odd tasting. They remind me of turkey dressing but dry and lacking flavor. There are a fair amount of peas, a fair amount of dryish lima beans and small flecks of red something mixed in with the yellowish basmati rice. This a one compartment frozen meal. There’s no sauce. To sum things up, this is; edible, okay for a change of pace, not especially good for what it’s supposed to be, modestly priced, a single serving frozen entrée. 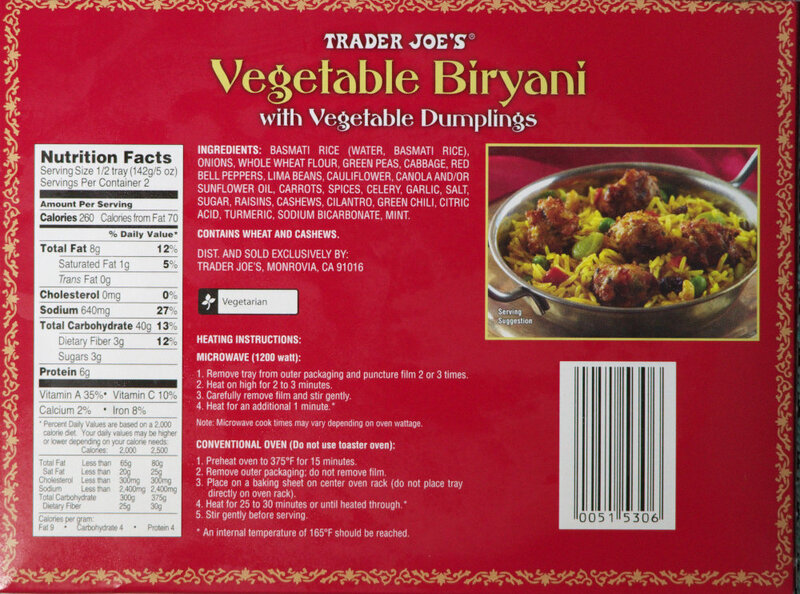 This entry was posted on 08/01/2015 at 07:13 and is filed under Recipes, food, cooking and related items, Trader Joe's, Vegetarian. You can follow any responses to this entry through the RSS 2.0 feed. You can leave a response, or trackback from your own site. Thanks again for adding your comments. I’m going to give it a second chance, but I had a similar first experience as you. I don’t find the dumplings dry or lacking flavor at all! In fact they are my favorite part of this dish and I wish there were more of them! 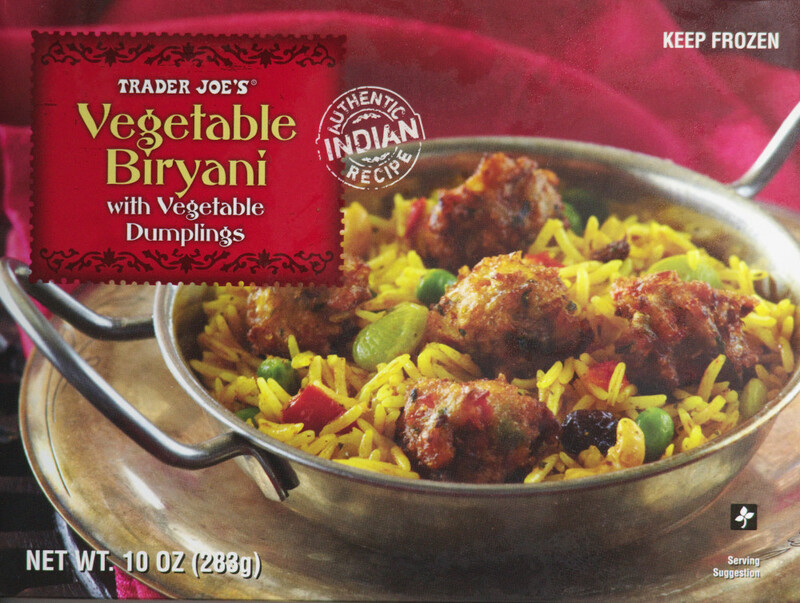 This is one of my favorite trader joes frozen vegan meals. Thanks for adding your thoughts! I’ll have to pick up another box and try it again.